For full arm protection, the Blackened Gustav Full Arm Guards are a great choice. They feature a classic, versatile design with just the right details, such as their decorative grommets, layered look, and darkened, anti-rust finish. Round plates protect the elbow joint on each piece. 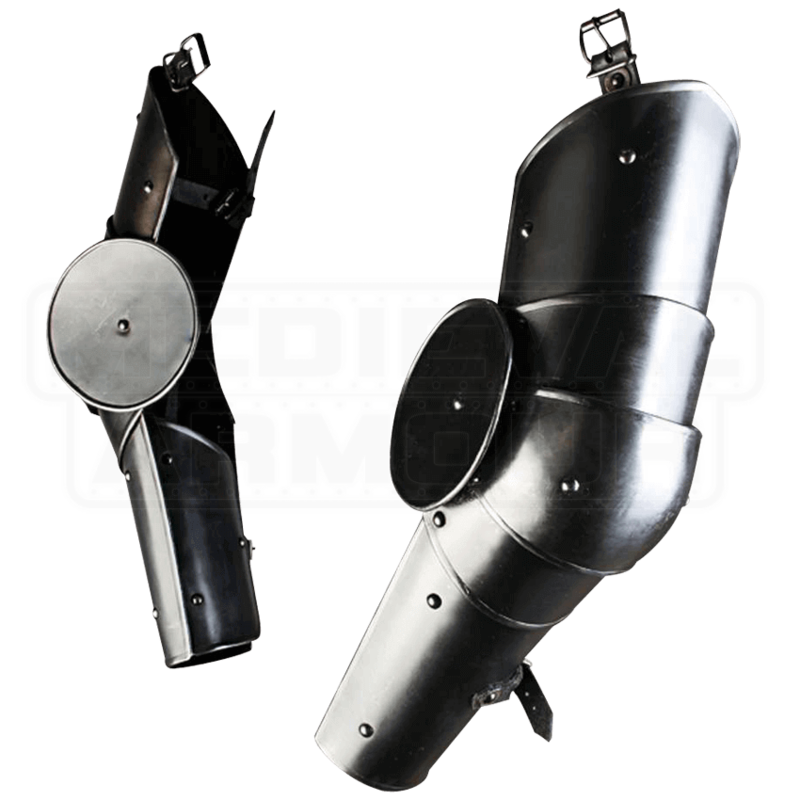 Sold in sets of two, these arm guards can easily be adjusted to suit the needs of the wearer via the shoulder buckle, which is useful for attaching spaulders, and additional leather straps that secure it to the arms. 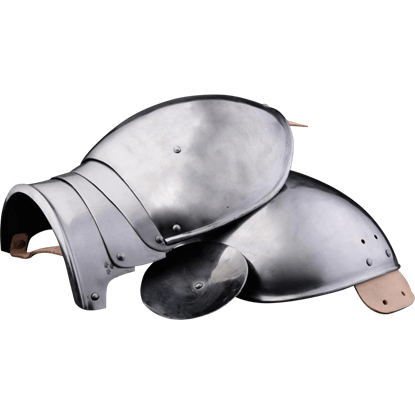 Sure to suit a variety of medieval looks, the Blackened Gustav Full Arm Guards are a great addition to any LARP armour set or light reenactment outfit. 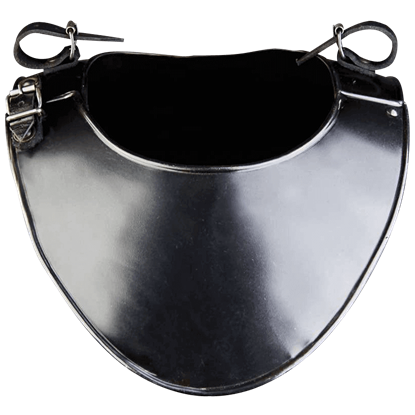 Gorgets are plate armour made to protect the neck, and our Blackened Gustav Gorget does its job with versatile style. 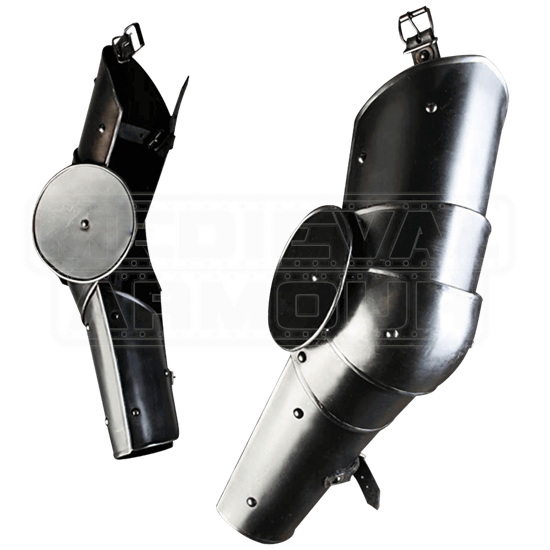 Made of 16 gauge blackened steel, this high-quality piece makes a great addition to any suit of plate armour. This style of shoulder armour corresponds with the pieces used from the end of the 14th century to the middle of the 15th century. The 15th Century Spaulders with Besagews make an excellent option for LARP events and re-enactments.